How would I change the frequency, number of octaves, and persistence with this function since it doesn't take any parameters for them? You are ONLY generating Perlin noise. This is actually the same as using only one octave, at any frequency. You can base yourself to implent FBM (Fractional Brownian Motion), It is actually what all engines use to make Perlin noise more fractal looking. 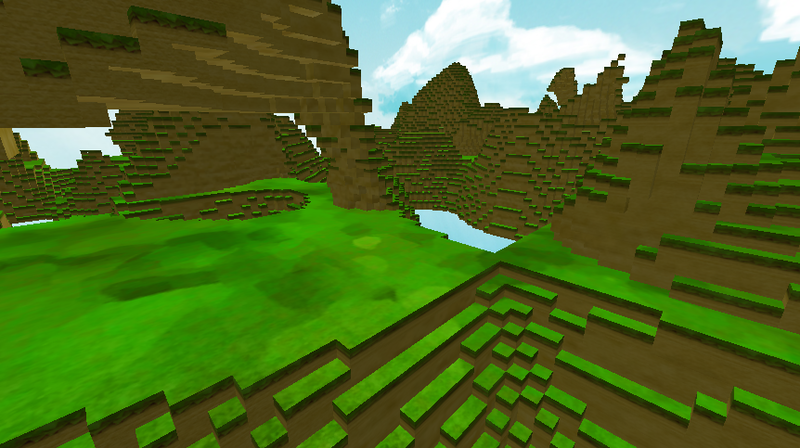 and you'll have a cool eroded terrain, with lots of straight mountains. Having a nice terrain is a game of playing with parameters, don't expect an already made "recipe", try to make your own! I have an idea that, since you can use different octaves, you can make harmonics using multiple resolutions of perlin noise. 8, 4, 2, 1 as octaves would superposition itself nicely, I think. The only problem with this is that it might not be 100% "random" in that you use the same seed for each octave. The key here is the word "superposition"
Not the answer you're looking for? Browse other questions tagged procedural-generation terrain lua perlin-noise or ask your own question. Any ideas on reducing lag in terrain generation? Do I need multiple perlin noise generators for different features in terrain generation?